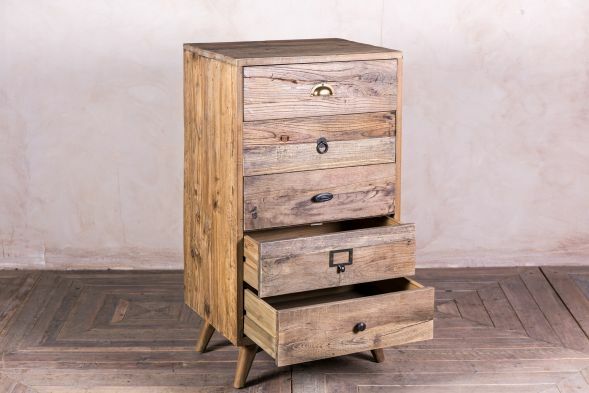 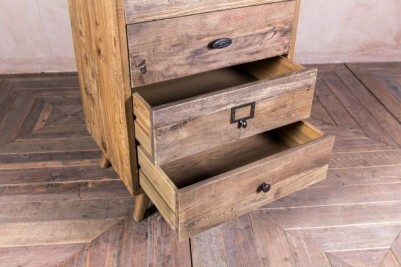 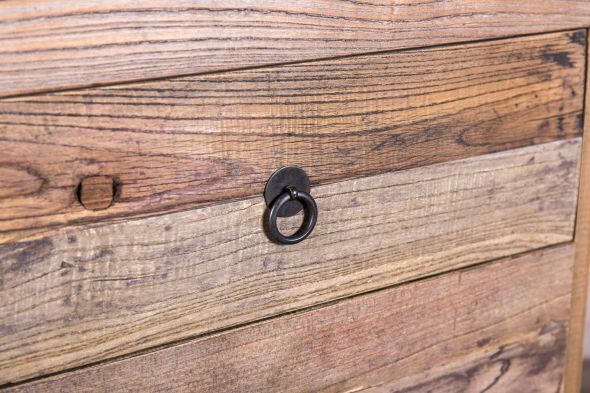 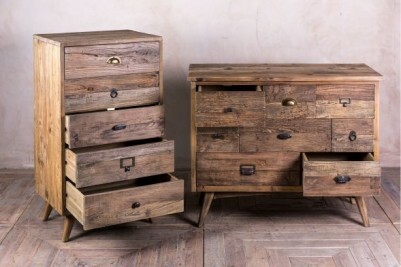 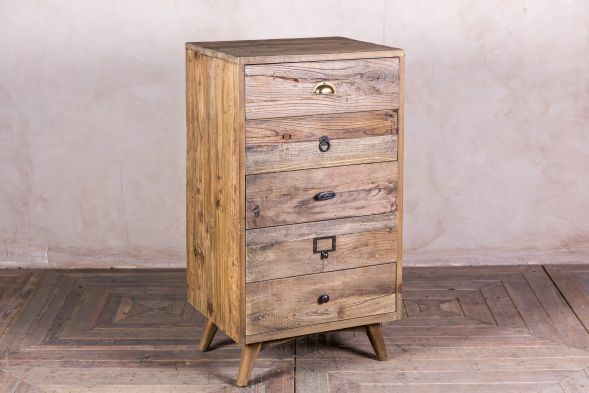 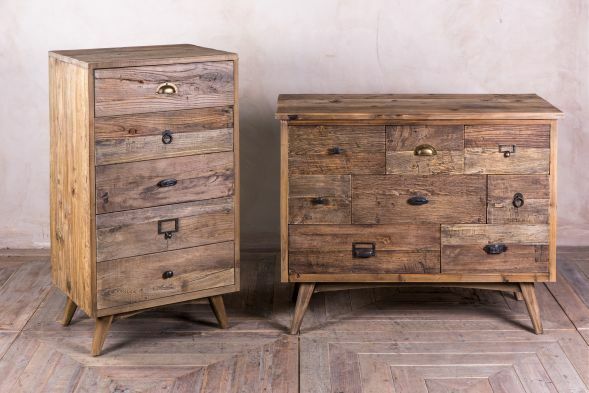 Incorporate a touch of retro style into your home or business with this set of tallboy drawers. 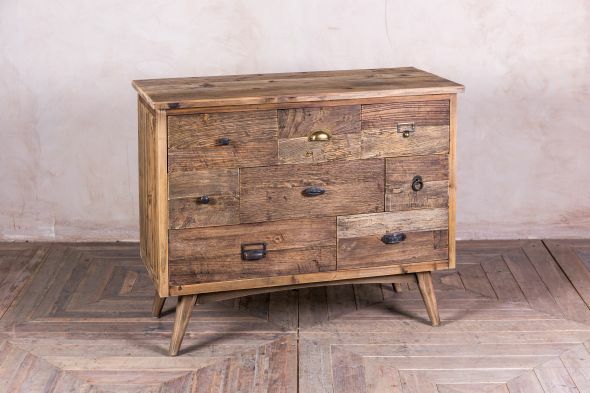 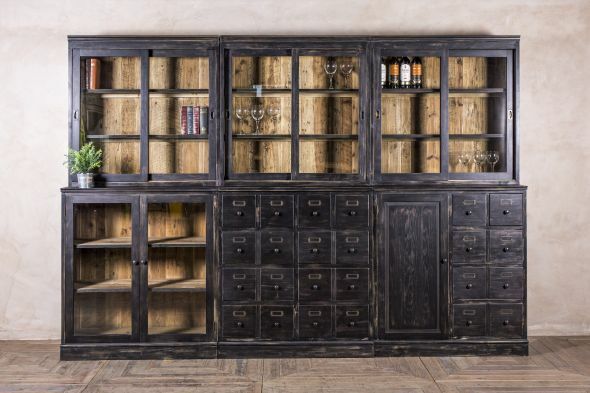 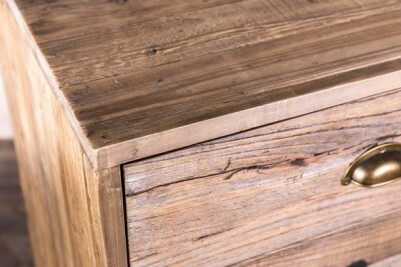 This unit is made of weathered reclaimed pine, which has a perfectly aged look. 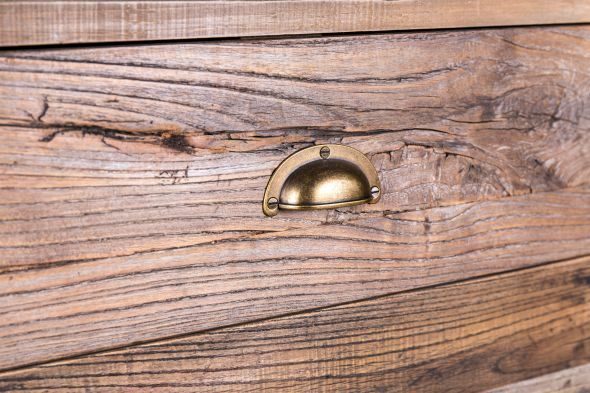 A quirky appearance has been achieved by its fun, 1960s style legs and the different handles on each of its drawers. You could use it in your home living room or bedroom as a stylish piece of storage furniture. 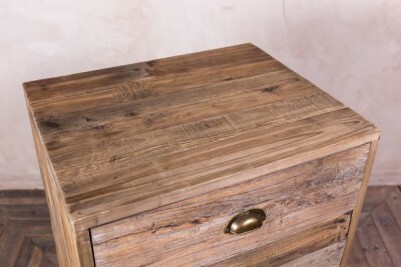 Similarly, vintage inspired restaurants, bars and cafes could use it to store cutlery, napkins, menus, etc. 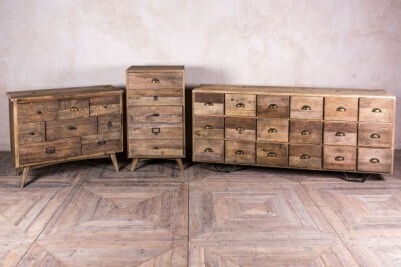 ; and, it would also make a great piece of office furniture. 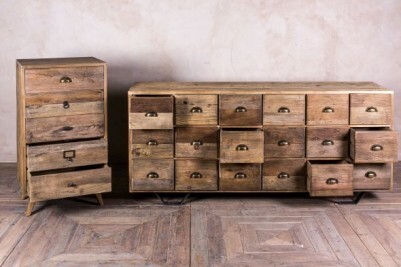 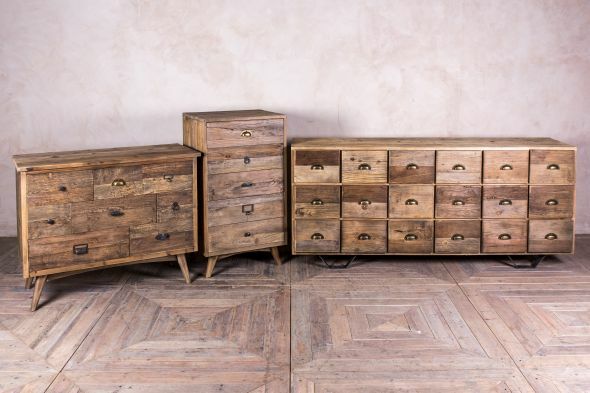 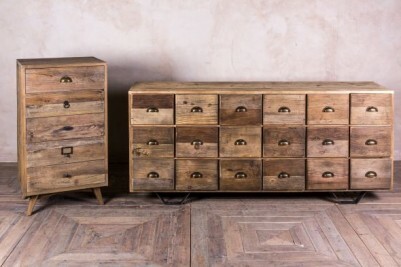 If you like this style, we have a larger, matching chest of drawers and a sideboard in stock. 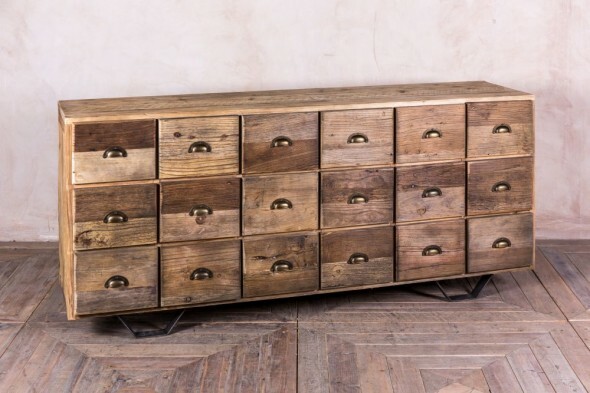 Please note that this listing price is for one narrow chest of drawers only; the other items pictured are not included, but can be purchased separately.